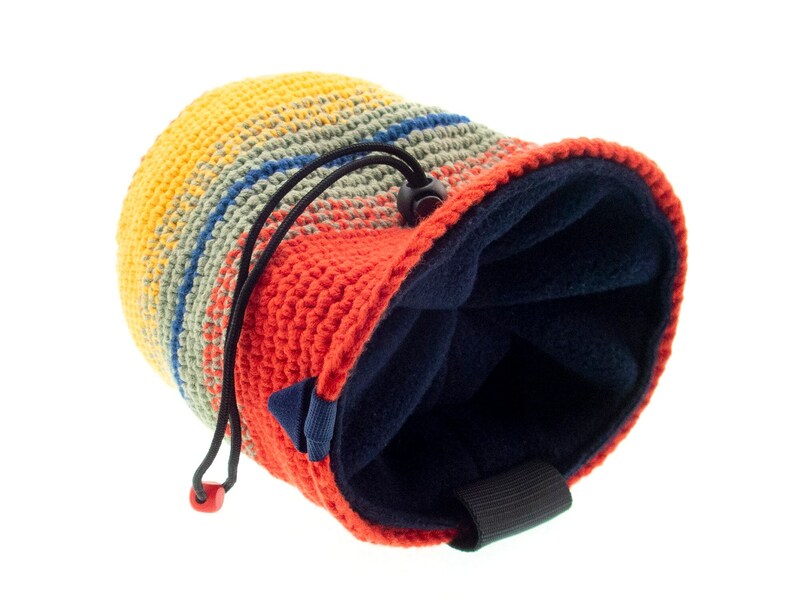 Handmade chalk bag for climbing, indoor climbing, trad climb or bouldering. 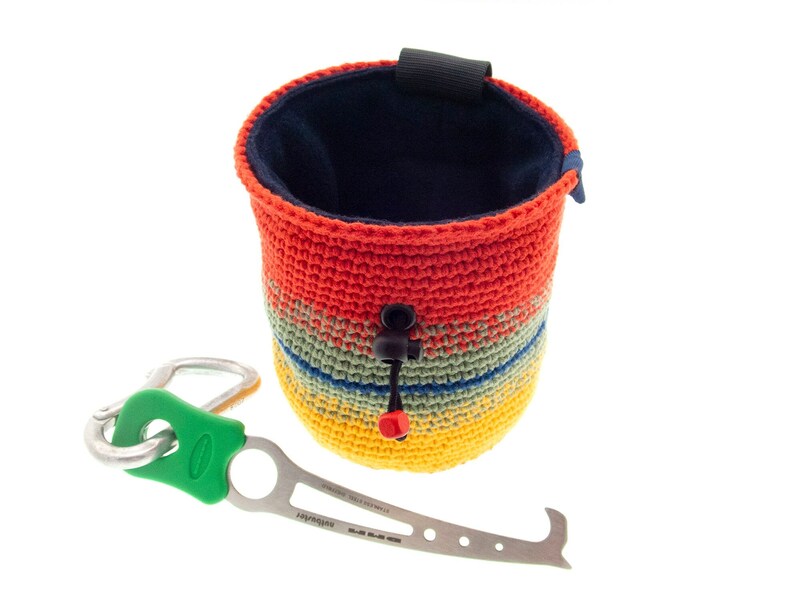 It is the perfect one in rock climbing gifts for woman ideas. Every lady (or girl) will love this climbing accessory. 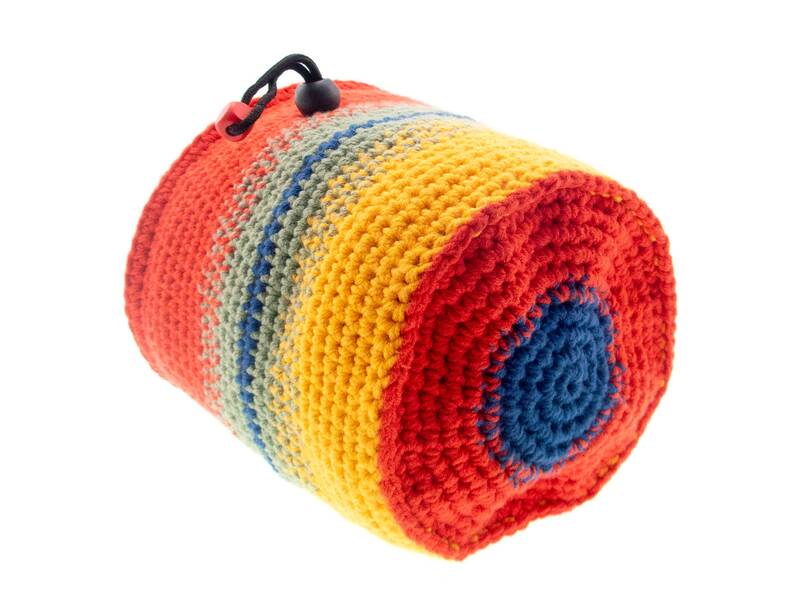 We handmade it a as knitted pouch in bright colors. 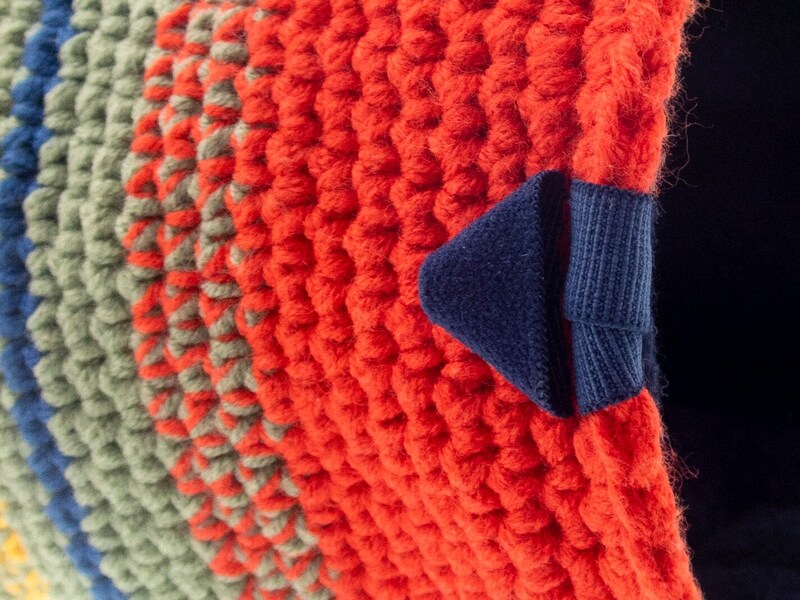 The inner part is soft fleece in dark blue. 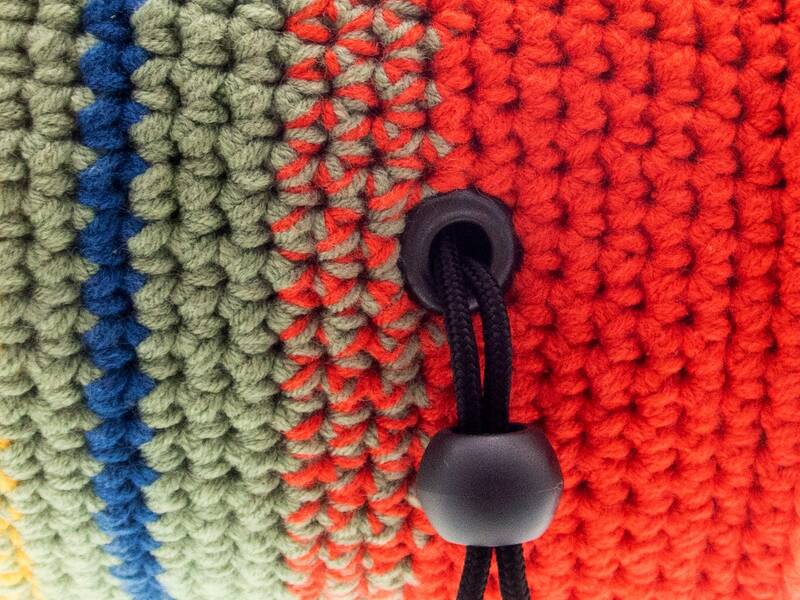 Under it is sewn a high quality membrane layer, that keeps the chalk inside. 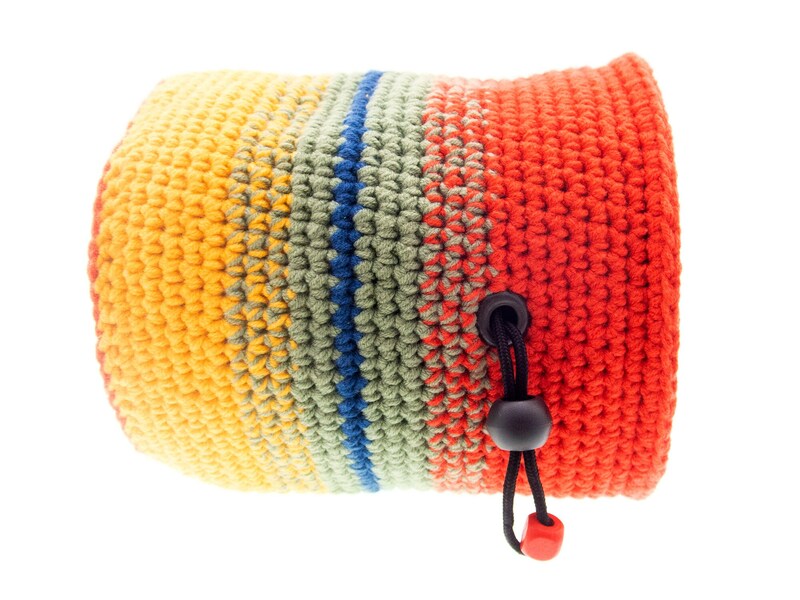 The chalk bag for climbing closes tight. 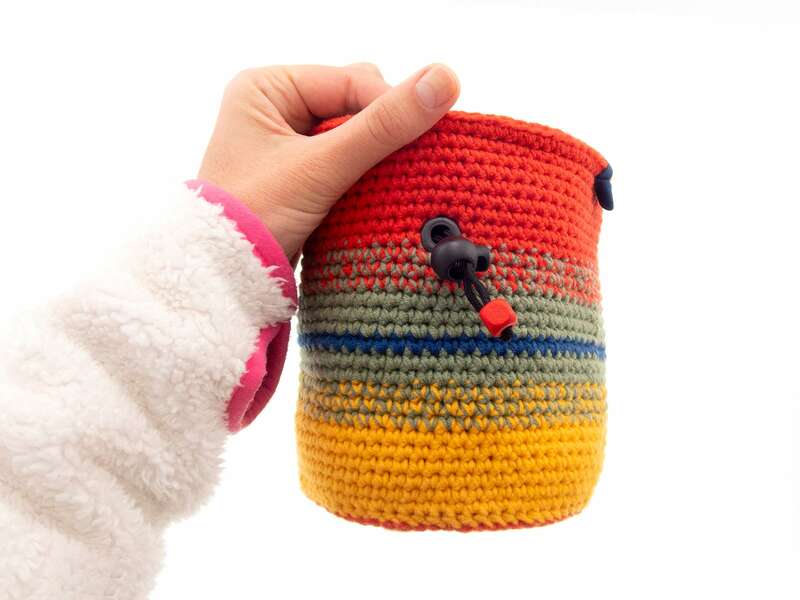 It is assured with one attaching loop, and and with one elastic brush holder. 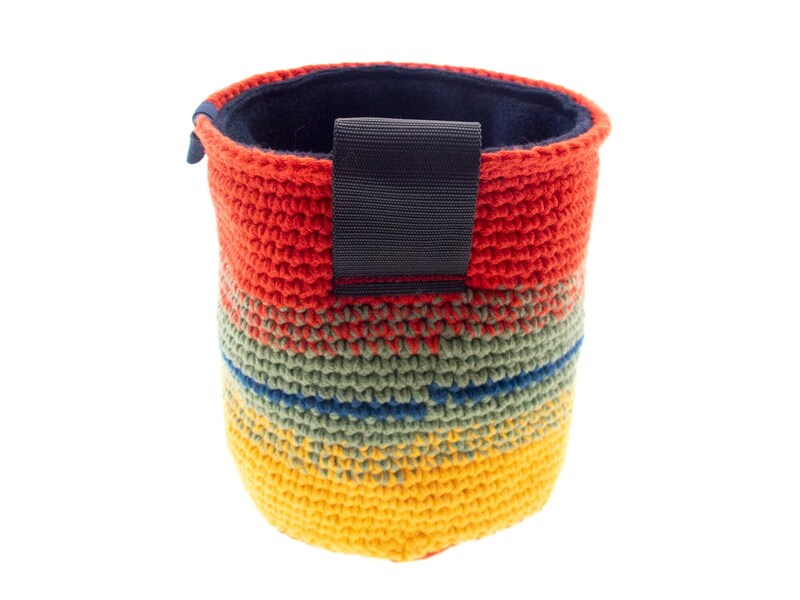 This item it is a handmade chalk bag, that is comfortable to be used, stylish and one of a kind. The height is 14.5 cm (5 11/16 inches), the diameter is 14 cm (5 1/2 inches). The chalkbag weights 111 grams (3.91 oz). 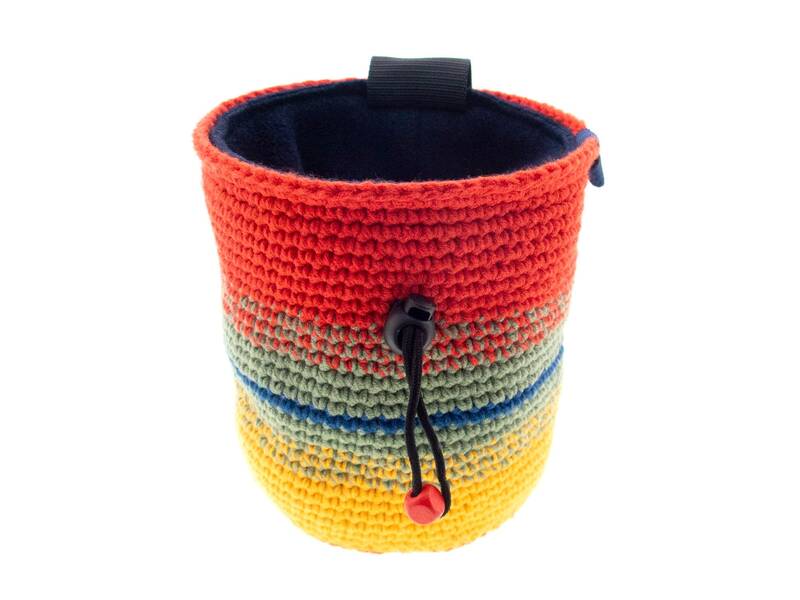 Use it as indoor climbing bag, trad climb chalk bag, bouldering chalk bag. 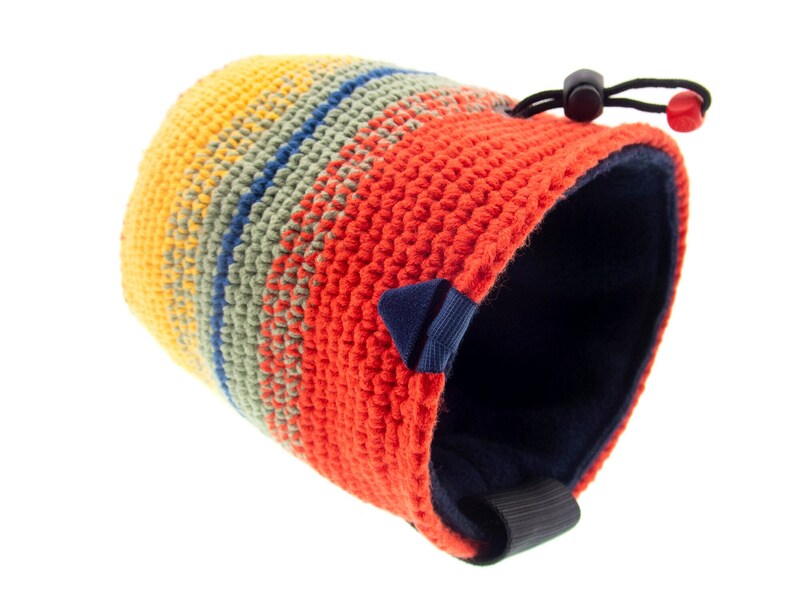 It is unisex chalk bag and can be used by ladies, women or men. PS: If you purchase, you will get the pictured item.